Whether you're on a family vacation and want a small, cozy place to stay, or you're traveling solo and hoping to get some local recommendations, a B&B might be the right choice for your trip. 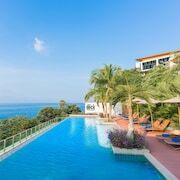 You'll find 3032 accommodations and 5 B&Bs for your vacation in Phuket. If you want to lose yourself exploring fascinating exhibits, you might consider stopping by Phuket Trickeye Museum and Thavorn Museum while you're in town. If you enjoy experiencing a new place through your taste buds, you'll be sure to enjoy Phuket for its array of dining options and bar scene. When you want to explore some cultural attractions on your trip, Phuket Trickeye Museum and Thavorn Museum are worthy sites to check out. You might put Patong Beach and Chalong Temple on your list if you want to see more of the area. 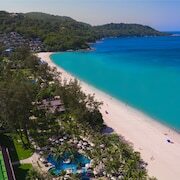 What Are the Best Transportation Options In and Around Phuket? Fly into Phuket (HKT-Phuket Intl. ), which is located 16.7 mi (26.9 km) away from the city center. You can also search for flights into Krabi (KBV-Krabi Intl. ), which is 43.1 mi (69.4 km) away. If you'd like to venture out around the area, consider renting a car to take in more sights.